These terms and conditions outline the rules, regulations and your agreement for the use of Life’s Balance Enterprises LLC’s Website. Life’s Balance Enterprises LLC is located in Austin, Texas. By accessing this website we assume you accept these terms and conditions in full. Do not continue to use Lifes Balance Enterprises LLC’s website if you do not accept all of the terms and conditions stated on this page. Unless otherwise stated, Lifes Balance Enterprises LLC and/or it’s licensors own the intellectual property rights for all material on Lifes Balance Enterprises LLC. All intellectual property rights are reserved. You may view and/or print pages from https://lifesbalancecbd.com for your own personal use subject to restrictions set in these terms and conditions. Redistribute content from Lifes Balance Enterprises LLC (unless content is specifically made for redistribution). Life’s Balance Enterprises LLC is a customer centric company who will put forth every effort to resolve any returns or refunds issue. However the company does this with the right to make a final determination as to the eligibility for any customer return or refund. If for any reason you are not satisfied with a purchase you make on the site, please return it in accordance with the terms of our return policy or limited warranty, as applicable. Contact us within 30 days of receiving your product shipment. Payment. You agree to pay all fees or charges to your Account in accordance with the fees, charges and billing terms in effect at the time a fee or charge is due and payable. You must provide Company with a valid credit card (Visa, MasterCard, Discover or any other issuer accepted by us). 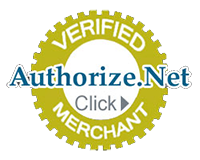 By providing Company with your credit card number and associated payment information, you agree that Company, and its third-party service provides for payment services, Authoirize.Net as the third party service providers for payment services are authorized to immediately invoice your Account for all fees and charges due and payable to Company hereunder and that no additional notice or consent is required. You agree to immediately notify Company of any change in your billing address or the credit card used for payment hereunder. Company reserves the right at any time to change its prices and billing methods, either immediately upon posting on Company Properties or by e-mail delivery to you. Certain parts of this website offer the opportunity for users to post and exchange opinions, information, material and data (‘Comments’) in areas of the website. Lifes Balance Enterprises LLC does not screen, edit, publish or review Comments prior to their appearance on the website and Comments do not reflect the views or opinions of Life’s Balance Enterprises LLC, its agents or affiliates. Comments reflect the view and opinion of the person who posts such view or opinion. To the extent permitted by applicable laws Lifes Balance Enterprises LLC shall not be responsible or liable for the Comments or for any loss cost, liability, damages or expenses caused and or suffered as a result of any use of and/or posting of and/or appearance of the Comments on this website. Lifes Balance Enterprises LLC reserves the right to monitor all Comments and to remove any Comments which it considers in its absolute discretion to be inappropriate, offensive or otherwise in breach of these Terms and Conditions. You hereby grant to Lifes Balance Enterprises LLC a non-exclusive royalty-free license to use, reproduce, edit and authorize others to use, reproduce and edit any of your Comments in any and all forms, formats or media. you must notify us by sending an e-mail to support@lifesbalancecbd.com. No use of Lifes Balance Enterprises LLC’s logo or other artwork will be allowed for linking absent a trademark license agreement. By using any Life’s Balance Enterprises LLC’s Website, you agree that the Federal Arbitration Act, applicable federal law, and the laws of the state of Texas, without regard to principles of conflict of laws, will govern these Conditions of Use and any dispute of any sort that might arise between you and Life’s Balance Enterprises LLC’s. “In the event of any claims, disputes, or other controversies arising out of, or relating to, these Terms of Service, the use of this site or information obtained through this site, or any other claims, disputes, or controversies arising out of or relating to this site, or any other World Wide Web site owned, operated, licensed, or controlled by us (the “Dispute” and together the “Disputes”), you agree to resolve any Dispute by submitting the Dispute to “DRC”, The Dispute Resolution Center, through its offices located in Austin, Texas (https://austindrc.org, “ADR Firm”), or its successor, for mediation. Any party to the Dispute may commence mediation by providing to ADR Firm and the other parties a written request for mediation, setting forth the subject of the Dispute and the relief requested. The parties will cooperate with ADR Firm and with one another in selecting a mediator from ADR Firm’s panel of neutrals, and in scheduling the mediation proceedings promptly, not later than thirty (30) days after such request for mediation. The parties agree that they will participate in the mediation in good faith, and that they will share equally in its costs. All offers, promises, conduct, and statements, whether oral or written, made in the course of the mediation by any of the parties, their agents, employees, experts, and attorneys, and by the mediator or any ADR Firm employees, are confidential, privileged, and inadmissible for any purpose, including impeachment, in any arbitration or other proceeding involving the parties, provided that evidence that is otherwise admissible or discoverable shall not be rendered inadmissible or non-discoverable as a result of its use in the mediation. If the Dispute is not resolved through mediation, then it shall be submitted to ADR Firm, or its successor, for final and binding arbitration pursuant to the then-current form of DRC Comprehensive Arbitration Rules & Procedures (the “Rules”) before one arbitrator, selected by the agreement of the parties and, failing such agreement within thirty (30) days of the Dispute being submitted for arbitration, by ADR Firm in accordance with the Rules. All hearings shall be held in Austin, Texas, USA. If ADR Firm ceases to exist and has no successor, then the parties shall submit the Dispute to an established alternative dispute resolution entity in Austin, Texas. Any party may initiate arbitration with respect to the Disputes submitted to mediation by filing a written demand for arbitration at any time following the initial mediation session or forty-five (45) days after the date of filing the written request for mediation, whichever occurs first. The mediation may continue after the commencement of arbitration if the parties so desire. Unless otherwise agreed by the parties, any arbitration initiated under this clause shall be conducted by a single arbitrator. Unless otherwise agreed by the parties, the mediator shall be disqualified from serving as arbitrator in the case. The provisions of this clause may be enforced by any court of competent jurisdiction, and the party seeking enforcement shall be entitled to an award of all costs, fees, and expenses, including attorney fees, to be paid by the party against whom enforcement is ordered.